This article was written by Jim Cagliostro. 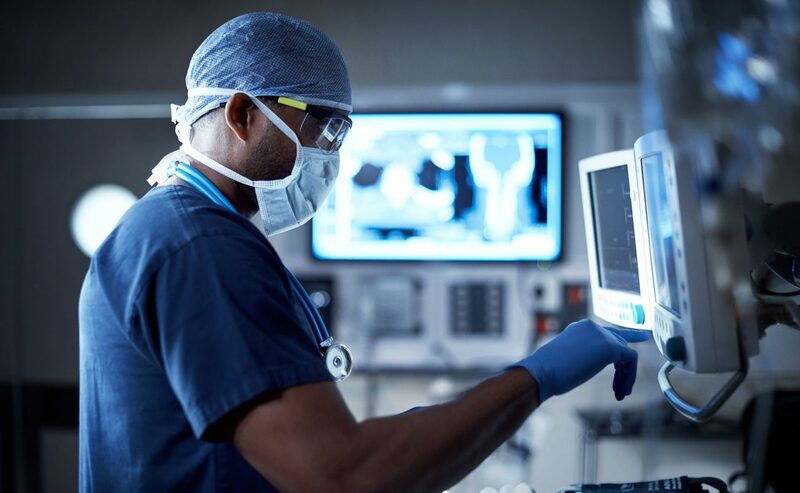 As the use of third-party partnerships in healthcare continues to rise, the need to analyze complex contracts that form the basis of these relationships is essential to secure quality results at a competitive price. Traditionally, outsourcing has been reserved for a health system’s support functions such as housekeeping, laundry services, food services, security and even supply chain management. 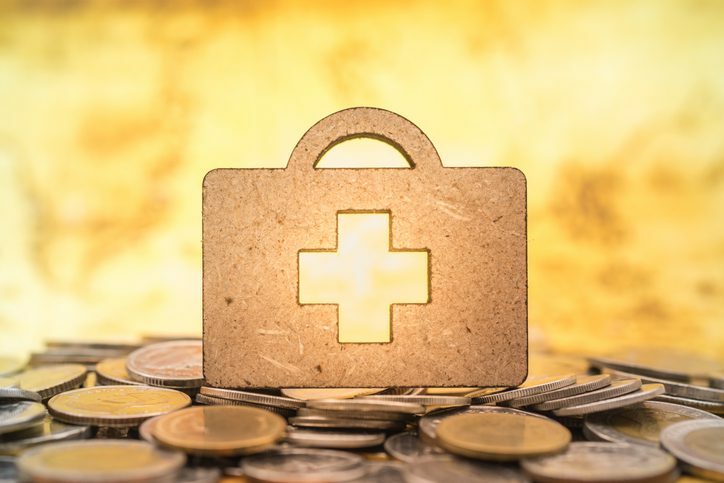 But as costs rise, health systems are outsourcing more patient care services such as anesthesia, emergency department staffing, dialysis services, diagnostic imaging and hospitalist staffing. Your leadership team must prioritize the need to review all contracts with third parties. One of the common errors a health system makes is to neglect its need to consistently examine its relationship with each of its vendors. Your hospital must get organized in coordinating and managing its contracts. Contracts have different start and end dates. Some contracts renew automatically (often called “evergreen contracts”) while some have a predetermined completion date. It can be extremely difficult to differentiate if your health system relies on a manual or paper system. A digital system allows a more efficient search and review. In addition to digitizing your contracts and invoices, consider using contract management software. The need to track contracts through their entire lifecycle has only increased as contracts have become increasingly complex in their language, terms and conditions. With VIE Healthcare® as a trusted health partner, contracts are streamlined to achieve and maintain real cost savings. Establish a contract management team. This may involve bringing together existing employees from appropriate departments to assist with analysis. Some health systems hire experts to carry out this process. In 2013, Mercy Health Services in Baltimore MD appointed David Forbes as Director of Contracting Services. Due to the impact that the development of a contract management team can have on the financial health of your hospital, a number of factors must be considered as you bring this team together. These are considered below. WHO SHOULD HANDLE YOUR HOSPITAL’S CONTRACTS? Hospitals may frequently employ policy administrators or someone from compliance, quality control or nursing to oversee contracts. In our experience, a designated contract administrator with a background in risk management, law, or purchasing would be more effective in this role. The advantage to having a team that includes frontline staff is that employees from multiple departments or with various skills or expertise can contribute to help the contract administrator negotiate a contract that best serves the financial welfare of the hospital. Including frontline staff from specific departments can provide the contract management team with detailed insight which would help them negotiate terms that help the hospital save money without negatively impacting its day-to-day operations. Contracts are legally-binding documents. They must be handled with care and should be managed by an experienced individual and team. Without that expertise, your healthcare system is at risk of incurring extensive costs. WARNING: Personal relationships between hospital employees and vendor salespersons also play a significant role in contract negotiation. A certain amount of trust is required when negotiating contracts with a vendor. Sometimes, that trust can be betrayed and a relationship with a vendor can lead to an unreasonable or one-sided contract that is not mutually beneficial. Hospital administrators must ensure that those negotiating contracts on their behalf are not only skilled in contract negotiations but also have the hospital’s best interests in mind. They should be aware of any ‘perks’ that a hospital employee may be receiving from an existing or potential vendor as well as any friendships or relationships that may compromise effective negotiations. WHY ARE HOSPITAL CONTRACTS SO COMPLEX? Some may suggest that vendors purposely create contracts that are difficult to navigate in to order to gain greater profits from the hospital but there are other reasons to consider, outlined below. The most obvious is that hospital contracts simply contain so much information. Countless services and supplies are needed for your hospital to operate on a daily basis. Creating contracts to cover every detail is no small task. A further complication is the array of new products, services, and technologies across the sector. The US spent $171.8 billion on medical and health research and development in 2016. The rapid advances in technology must also be a consideration in establishing IT contracts. Technology can become outdated before the contract renewal date. Consignment of equipment and supplies is common in hospitals to ensure supplies are readily available for unplanned or emergent procedures. The nature of managing and tracking consigned equipment creates even greater complexity in these contracts. The variety of pricing models is also a major challenge. Tiered pricing is often used as vendors seek to increase overall sales by decreasing the cost-per-item if larger volumes are purchased. The wide range of costs for supplies and equipment within a hospital also creates a wide variety of contract arrangements. For example, gauze supplies can cost a few cents while CT scanners can cost around $2.5 million. Contracts with vendors who supply less expensive items in bulk will look much different than contracts with vendors who provide CT scanners with scheduled maintenance. The pros and cons of a long-term or automatically-renewing contract must also be considered in light of the Consumer Price Index and how prices might change over a longer period of time. Since 1999, VIE Healthcare® experts have analyzed countless contracts and gained familiarity with a wide variety of pricing models. Your hospital’s policies and procedures, which can change frequently based on the most recent evidence-based practice and research. Tax-emption provisions for non-profit organizations must also be considered. More recently, hospital leaders have prioritized an increased focus on Medicare standards and requirements to maximize reimbursement under the Hospital Value-Based Purchasing (VBP) Program. With Medicare reimbursement in mind, the prevalence of performance-based contracts is on the rise. Using performance metrics to incentivize both hospitals and vendors helps to ensure that each party is ‘carrying their weight’ in the relationship. This type of partnership can also be described as a shared-risk or shared-benefit relationship in which there are penalties for not meeting a particular standard but also incentives for exceeding the standard. One example of this is when a contract dictates that dietary services be penalized for failing to provide safe and healthy food to patients but rewarded for delivering that food in a timely manner and thereby increasing patient satisfaction. In this scenario, a hospital must determine appropriate incentives prior to contract approval so it does not overpay a vendor, leading to an unprofitable contract. Once your hospital has established a contract management team, analysis can then begin. Ensure the right people are involved in the process. 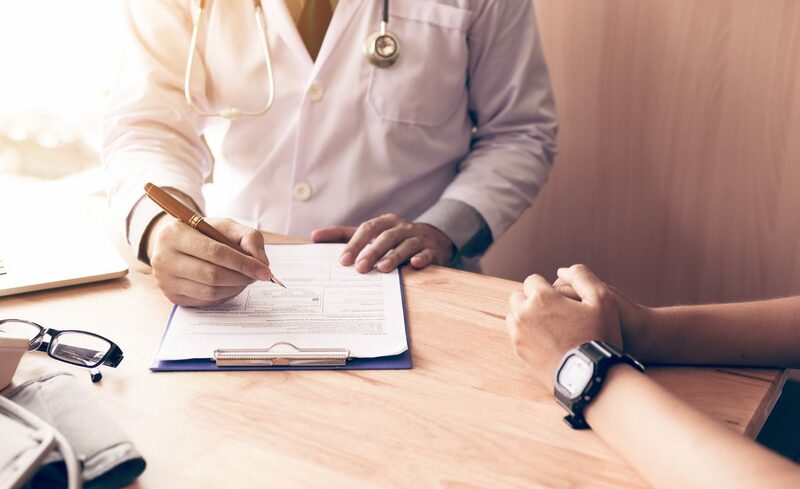 The contract management team should have open and frequent communication with physicians, clinicians and department heads to assist with the evaluation and negotiation process. End users who work directly with the outsourced provider should be able to evaluate whether or not the vendor is meeting expectations. The contract must be clear so that each party understands all expectations. Verbal agreements should not exist in conjunction with the written contract. The contract lays out the foundation, beginning, and end of the relationship between the hospital and vendor. If the contract is not clear, problems in the relationship can arise. Ensure that you are securing the best pricing. This can be accomplished by benchmarking to see if current prices are competitive and by negotiating with the vendor based on your findings. Determine if there are purchase obligations and the consequences of not meeting those obligations. Hospitals are often unaware of their minimum purchase obligations and the financial repercussions for failing to meet that minimum. The hospital’s leadership must determine if increasing spend on that vendor would be financially beneficial or if there is a need for renegotiating the contract. Determine if there is price protection from year to year. Often vendors will begin a contract with competitive pricing, only to raise rates that are less competitive later in the contract. Consider a performance-based contract in which pricing is linked to key performance indicators that the outsourced provider is responsible for delivering. This ensures that measurements take place and payment is based on a vendor’s performance. Know the terms of each contract. Know exactly when the contract expires, if it automatically renews and how much notice is required to terminate a contract. Understand the “out language” in the contract and any penalties for terminating the contract early. Ensure that invoices accurately reflect what is written in the contract. If invoices are not compared with contracts, incorrect pricing can continue throughout the length of the contract and beyond. Do not be afraid to negotiate in the middle of a contract. While certain contract terms and conditions may present a challenge, it is never too late to negotiate. In our experience, some savings have even been achieved by simply asking for better pricing, especially when a vendor knows they have been overcharging. Overpaying for a service. The challenge in healthcare is that hospital leaders often do not have the time to carry out a thorough analysis of how much the blood bank should be charging for a specific test, for example. Enter VIE Healthcare®. Our extensive research and experience have allowed us to gain an in-depth understanding of the market and determine when a hospital is receiving a competitive rate or even best-in-class pricing from a vendor. Using our database of pricing for the wide range of outsourced services, VIE Healthcare® can determine if a vendor is charging your hospital more than it should and where opportunities for savings may be identified. Paying for services that your hospital does not use. The length and complexity of a contract means this possibility is often overlooked. The service may have been in use in the past or may have been offered at such a competitive price that it was included in the final contract language. If your hospital is paying for a service or product that is not being used, best-in-class pricing is irrelevant. Resources that could be used elsewhere are being wasted. Applying small price increases to regularly-used products or services is a common practice that vendors use to raise the rate of a product or service without informing the hospital. Small price changes can go unnoticed but over time can cost your hospital thousands or even hundreds of thousands of dollars. Ensure the rate of price increases is written into the contract from the start. If price change guidelines are excluded from a contract, they can only be discovered through a detailed invoice evaluation and comparison with the current contract. VIE Healthcare® accomplishes this through its proven Invoice ROI™ process. Ask the question: “Do you have the entire contract?” Be sure that you are not looking at a contract that has expired and that you have the entire contract in front of you. That includes any amendments or addenda that have been added to the original contract. If your contract management team does not have all the information up front, it can lead to misguided decisions and poor preparation for vendor negotiations. Ensure the state referred to in the contract reflects the state where the hospital is located. As hospitals seek more competitive pricing, they often enter into partnerships with vendors across state lines. The state referred to in the contract often reflects the vendor’s location. However, it should be written for the state that the hospital is in. This can be one of the first indicators that a contract has not been reviewed thoroughly by your contract management team. Ensure that the terms of your IT contracts reflect the “acquisition” date versus the “go live” date. 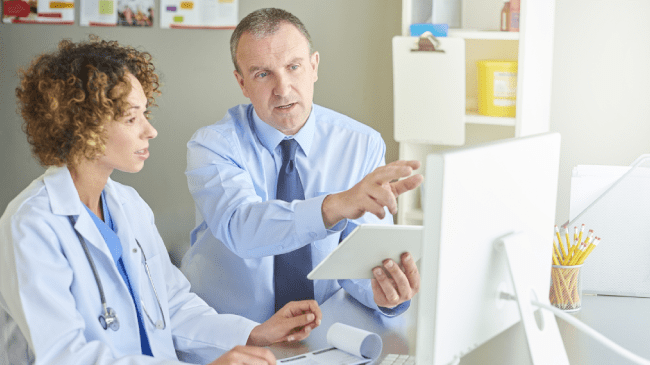 Training often takes longer than your IT vendor’s initial estimate, increasing costs as hospitals pay for the extended training required before it can “go live” with a new service or product. Missing renewal dates. This is one of the most costly oversights in contract analysis and often a missed opportunity to renegotiate a contract. The need to understand your contract notification periods and whether or not the contract renews automatically cannot be understated. If a contract renews automatically, you lose your leverage in negotiations. A sense of urgency is vital. Vendors are more open to negotiate when they know a renewal is imminent, particularly if they could lose your business. VIE Healthcare® recommends that you evaluate any agreements that are set to expire in four to six months. In summary, the goal of contract analysis should be to find areas of potential leverage before entering into negotiations. This includes thorough contract review, reconciliation with invoices, and understanding the terms of the contract to assist with the negotiation process. The immediate cost of breaking that contract. The long-term prospect of finding a vendor that provides comparable services at better pricing. This highlights the need to fully grasp the details of the contracts you have with outsourced providers. The contract is the foundation of your hospital’s partnership with any vendor. If it is not mutually agreed upon and understood by both parties, the relationship is destined to fail. To maximize the benefits of any vendor, your hospital must consider all aspects of the contract from beginning to end. Your outsourced provider should act as an extension of your organization, committed to cost, process, and revenue improvement. The vendor is a partner who should work with you to achieve your mission in accordance with your values. Ensure that every necessary detail is included in the contract, including what metric the vendor is using to calculate their charges. For example, is the vendor charging per use of item, per cleaning of item, per hour for their employees and so on? Working with VIE Healthcare® means your hospital is working towards a healthier financial future. The landscape of healthcare contracting has become so complex that it really takes an expert team to navigate the course. Our extensive database, which is constantly being updated, is a tremendous resource and one reason hospitals choose to work with VIE Healthcare®. Equally as important, we work with these contracts daily, know what to look for and what critical factors can often be missed. Our experience in analyzing complex contracts for hospitals throughout the country helps us identify the many ‘tricks of the trade’ that vendors frequently use to maximize their profits. It is essential to have a dedicated team familiar with contracts and their innate complexities to bring these tactics to light. Negotiate from a position of strength with VIE Healthcare® as your partner.